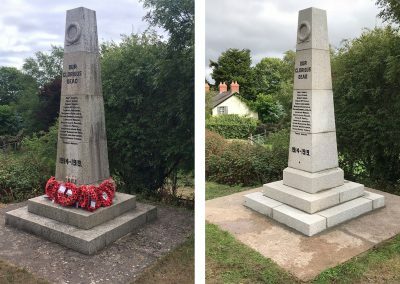 War Memorial Conservation Co. | War Memorial Conservation Co. specialise in the restoration, conservation and refurbishment of all types of war memorials, across the UK on projects of any scale. 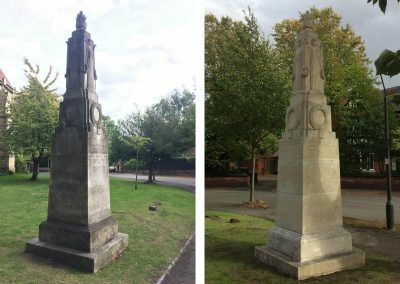 War Memorial Conservation Company is a specialist stonemasonry company dedicated to the conservation of war memorials across the UK. The company is part of MS-Group, Wales’ largest independent family owned memorial masons established in 1821.
offers a wide range of masonry services which can be tailored to suit the individual needs of client or project. 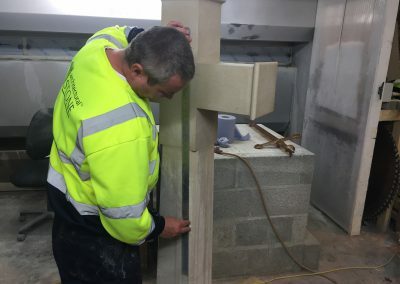 Our experienced and highly skilled stonemasons and specialist project management team service restoration projects from the smallest of parish memorials to the largest of monuments and war memorials. 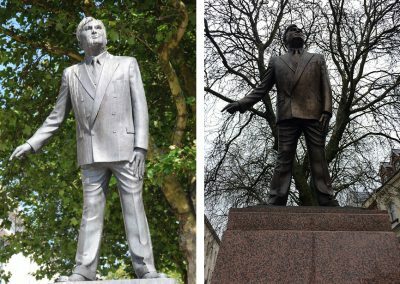 Whether you require a new memorial or restoration of and existing monument we have the skills and talent in manufacturing, cleaning, restoration and conservation to give you peace of mind that your in safe hands.